Shah Wharton is a speculative fiction author. Find her mind twisting over keyboards, her heart weeping for her characters, her watching you...closely. Luna has never been popular. Even her parents find her irritating. She can hardly blame them; her psychic issues mean her only friends--Flo and Ada--are Shadows who exist inside her fried mind. For Luna, each day is not about living and succeeding, but survival. 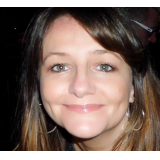 That is until her work as a fledgling journalist leads her to investigate the disappearance of baby Esta, snatched from her home over twenty years earlier. Our psychic heroine stumbles upon a series of revelations in a clandestine supernatural realm. Revelations that make her oddities appear perfectly banal in comparison. Revelations which test both her heart and mind. Ignorance may be bliss, but the truth might just set Luna free... if she lives that long. 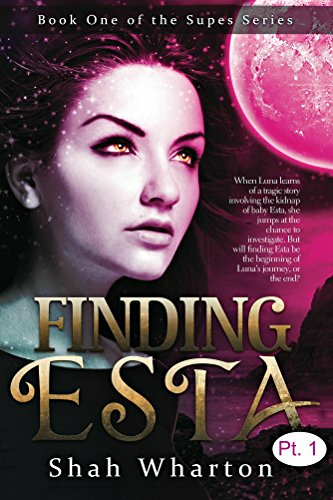 "Finding Esta is the tumultuous tale of one extraordinary woman's journey of self-discovery within a supernatural underworld." The depth and intrigue of this debut novel surprised me. It is not the average, predictable paranormal tale. Wharton’s vivid language creates a delicious piece of fiction I could really sink my teeth into. The twists and turns held my attentionbut I did not find it at all hard to follow as another reviewer remarked. I also found it easy to connect with Luna as she wrestled with both the desire for change and the fear of walking away from the familiar. Though her new, vampire-like qualities repulsed her she could not deny the urges that surfaced in her dreams and visions. I appreciate that Shah Wharton is able to tell such an intricate tale without a lot of lofty jargon. [...] It’s tricky to leave a series story open-ended without cutting it mid thoughtand I thought she did a brilliant job.